Rumors and reports suggest the Samsung Galaxy S10 could feature a triple-lens camera system and an in-display ultrasonic fingerprint reader. Such features make it a highly-anticipated handset, but it seems Samsung is not content with that. Thus, it is reportedly planning to include the new ultra-fast UFS 3.0 in the S10. Universal Flash Storage (USF 3.0) was announced earlier this year, and it doubles the memory bandwidth of UFS 2.1, which is currently the standard in the mobile space. If the rumors are true, the Galaxy S10 will be the first handset to come with new UFS 3.0 Storage. At Qualcomm’s 4G/5G summit in Hong Kong, Samsung confirmed that it will introduce new products based on UFS 3.0 in the first half of next year, according to tech site Sammobile. Even though Samsung didn’t name the Galaxy S10 specifically, it can be assumed that UFS 3.0 will feature in premium devices like the S10. The S10 will likely be the only high-end smartphone with it to come out in the first half of 2019. The ultra-fast UFS 3.0 utilizes improvements in 3D NAND manufacturing, resulting in memory taking up less space on the phone and being two times faster as well. UFS 3.0 will likely be paired with 5G network technology, which will also debut in smartphones next year. With UFS 3.0, 5G and the upcoming Snapdragon 855 chipset, the S10 can be expected to be insanely fast. The Galaxy S10 is also expected to get LPDDR5 RAM, which will help deliver bandwidth with speeds of 44 GB/s to 51.2 GB/s. LPDDR5 will be more efficient than the current-gen LPDDR4 used in smartphones now. Micron, which makes storage components for smartphones, has confirmed that it is developing a 1 TB UFS 3.0 module. The 1 TB module will be ready by 2021, so we can expect to see a lot of devices with 1 TB of onboard storage in 2021 and beyond. Samsung promoted the Note 9 as one of the first phones to support 1 TB of storage. The handset came with 512 GB of internal memory and a slot for a 512 GB memory card. It was also the first Samsung phone to ditch the 64 GB storage option and only come in 128 GB and 512 GB options. As of now, it is not clear if the Galaxy S10 will also skip the 64 GB variant, but it is believed that UFS 3.0 will come in 128 GB, 256 GB and 512 GB variants. Thus, a 64 GB variant could be available for the cheapest Galaxy S10 model only. Earlier reports and rumors suggest Samsung will launch three Galaxy S10 models. The standard S10 and the cheaper variant S10 “Lite” are expected to feature 5.8-inch displays, while the ultra-premium S10+ will likely have a 6.44-inch screen. 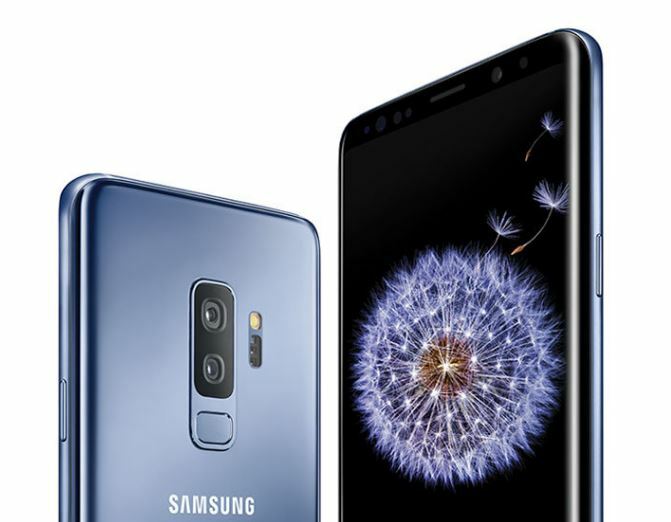 All three phones are expected to be fitted with OLED screens, but only the Galaxy S10 and S10+ are expected to have curved edges. The Galaxy S10 chipset could get a dedicated NPU. Smartphone makers have been focusing on adding new AI features in their phones recently. For instance, Huawei’s Kirin 980 features two dedicated neural processing units. So far, Samsung has avoided such implementations, but the Galaxy S10 could be an exception. Recently there were talks that Samsung could add a dedicated AI unit in the S10 processor. According to Samsung Mobile Chief D.J. Koh, the S10 will have “significant” design changes and come in “amazing” colors. Though Koh did not provide more information, a benchmark for a mystery Samsung phone suggested a 19:9 aspect ratio, which is better than the 18.5:9 ratio in the Galaxy S9. The benchmark also pointed to a resolution of 1440 x 3040. There is a good chance the S10 will achieve those numbers by featuring slim bezels and a larger, sharper screen. Samsung will likely avoid the notch in the S10 as well, considering that it criticized Google for the notch in the Pixel 3 XL. Another talked-about feature is the ultrasonic Qualcomm fingerprint scanner. The S10 could be the first phone to come with in-display ultrasonic scanner. However, there are also reports that Samsung could use an in-house in-display scanner rather than using the one from Qualcomm. More details on the S10 can be expected at MWC 2019, which is scheduled to start on Feb. 25.